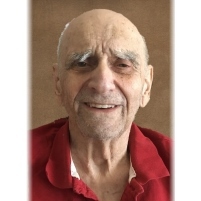 Walter H. Murphree, 88 of Zanesville died at 9:05 PM Saturday, January 19, 2019 at the Riverside Methodist Hospital. He was born September 16, 1930 in Harrisburg, Arkansas the son of Walter Murphree and Violet Patricia Higgins Blancq. Walter was a member of Coburn United Methodist and was a Retired United States Army Veteran of 25 years having served during the Vietnam War & the Korean War. He received a Masters Degree in Personnel Management from the Central Michigan University and was a member of the NRA, Christian Motorcycle Club, VFW, American Legion & the DAV. Walter later was employed as a Bus Driver for Muskingum Motor Coach and also worked in marketing. He performed as a Magician, Ventriloquist & Puppeteer and traveled all over the place for shows. He also was a pilot & traveled everywhere in his own plane for many years. He loved storytelling, cowboy poetry and was always the perfect gentleman opening the door & sending flowers to his wife. His favorite response to "How are you doing today?" was "Better than yesterday!" He is survived by his wife of 43 years, Marilyn Ann Swingle Murphree, who he married in “patriotic style” on July 4th, 1975; two daughters, Janet (Everett) Havenor and Patti (Jane) Estep; two sons, Walter E. Murphree and Sean (Tina) Murphree; 8 grandchildren, 9 great grandchildren; a sister-in-law, Rose (Steve) Oliver; and numerous nieces & nephews. Walter was preceded in death by his parents. Visitation to be held 3:00 PM to 6:00 PM on Wednesday, January 23, 2019 and one hour prior to service time at the Bryan & Hardwick Funeral Home. Funeral service will be held at 11:00 AM on Thursday, January 24, 2019 at the Bryan & Hardwick Funeral Home with Pastor Webster Cox officiating. Burial with Military Honors will conclude at the Duncan Falls Cemetery. The Bryan & Hardwick Funeral Home, 2318 Maple Ave. Zanesville is in charge of the arrangements. To share memories and condolences with Walter’s family please click on the Guest Book link on this page.